I was recently asked, Why can’t you give young babies honey? And on this point the NHS guidelines are very clear. 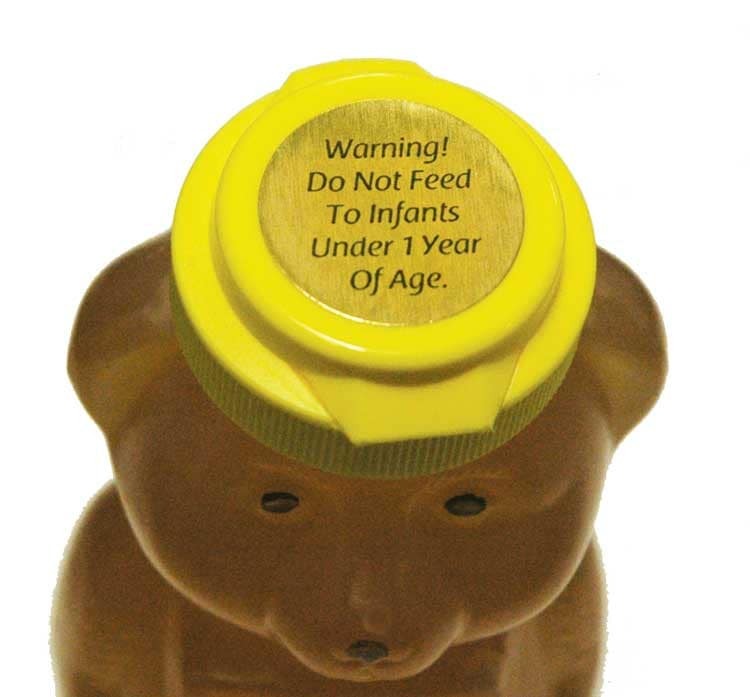 You should not give honey to babies under 12 months of age because there is a risk that they might get botulism. Botulism is a serious, sometimes fatal, disease caused by infection with a bacterium called Clostridium botulinum. As it grows, C. botulinum produces neurotoxins which cause a flaccid (floppy) paralysis and can result in respiratory failure. About 5-10% of cases are fatal, but infections thankfully very are rare. Symptoms include fatigue, weakness, blurred vision and difficulty speaking and swallowing. The paralysis is ‘descending’, generally starting in the head and neck, then moving to the shoulders, arms, chest and lower limbs. Unusually for a bacterial infection there is no fever. This reflects the fact that there’s probably only limited bacterial growth (which typically induces fever) and the potent neurotoxicity of the botulinum toxin. This toxin stops the release of the neurotransmitter acetylcholine from the nerve endings, thereby causing paralysis. 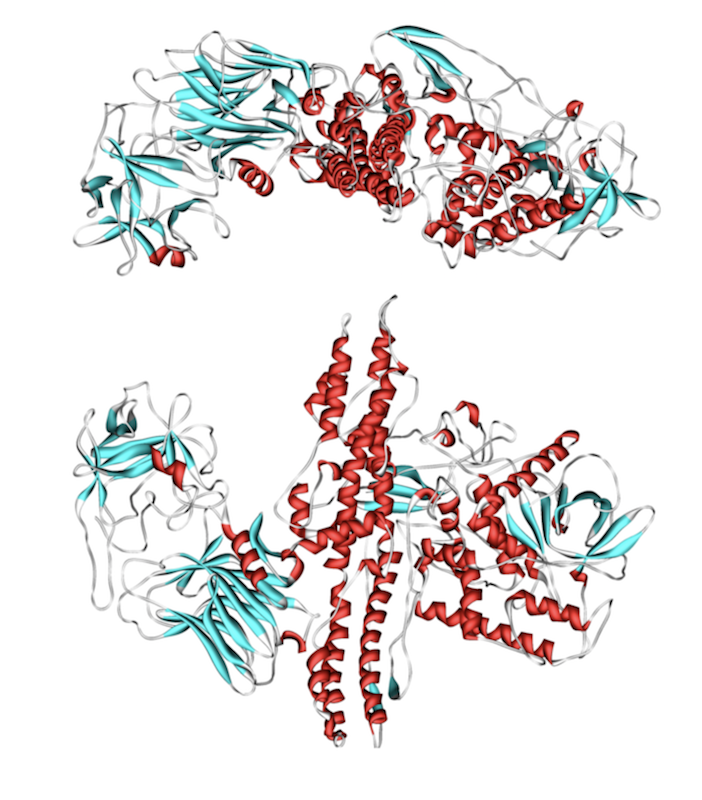 Botulinum toxin is one of the most acutely lethal toxins known. The lethal dose depends upon the route of administration, but is between 1.3 and 13 ng/kg 1. Remember, botulinum toxin is the active ingredient in Botox. 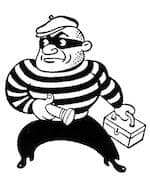 Botulism is a notifiable disease. Consequently, we have good data on the incidence of botulism in the UK and Europe. 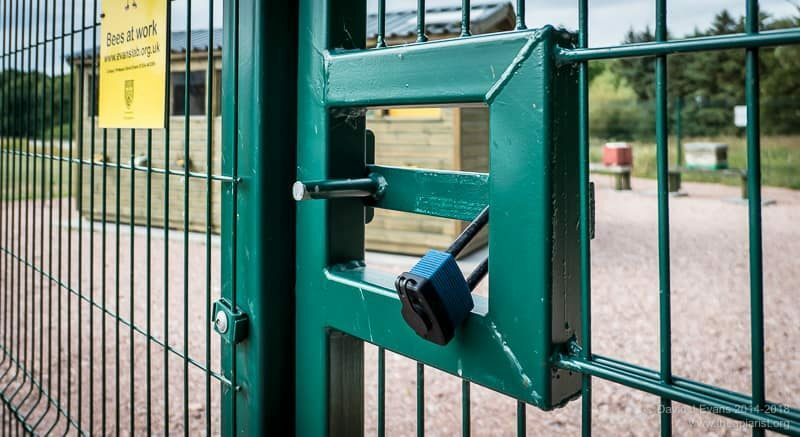 In 2014 there were 91 confirmed cases in the EU, with 14 cases reported in the UK between 2010 and 2014. Other than injecting drug users, a significant proportion of the cases are in infants – see below. 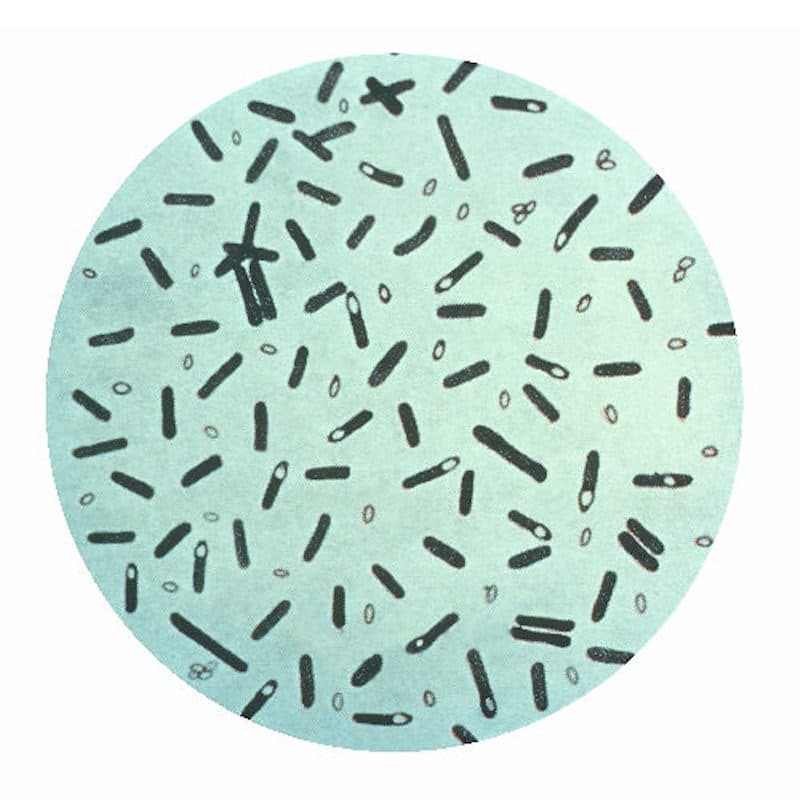 C. botulinum is widespread in the environment and infection usually occurs by ingestion of improperly prepared food e.g. 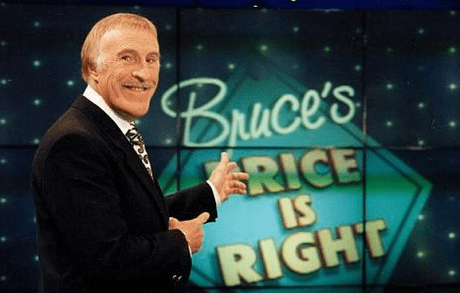 undercooked or improperly canned foods, in which the bacteria survives. 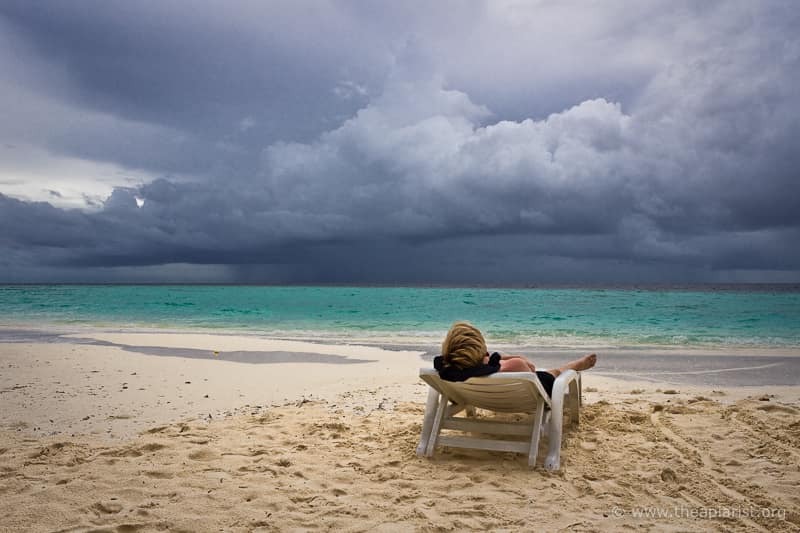 The bacteria grows in the absence of oxygen and produces the toxin during growth. Although the toxin is heat-inactivated if properly cooked (over 85°C), the bacterium also produces heat-resistant spores during growth. 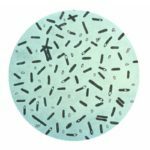 These spores can withstand temperatures over 100°C for long periods and usually require both high temperatures and pressures to inactivate them. 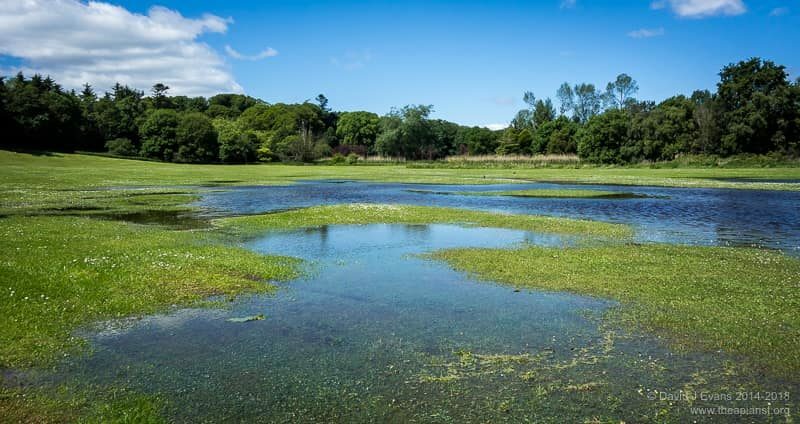 As a consequence of this the spores are also very widespread in the environment … cue the Jaws soundtrack … just waiting to encounter the correct conditions to germinate and initiate a new round of bacterial growth (and toxin production). About a third of all cases of botulism are in the 0-4 age group. I’ve been unable to find a more detailed breakdown by age, but there have been 19 cases of infant (children less than 12 months old) botulism in the UK since 1978. In many cases of infant botulism the source of the spores is unknown. However, other than well-documented cases of contaminated milk powder, honey is the only food regarded as a significant risk factor. 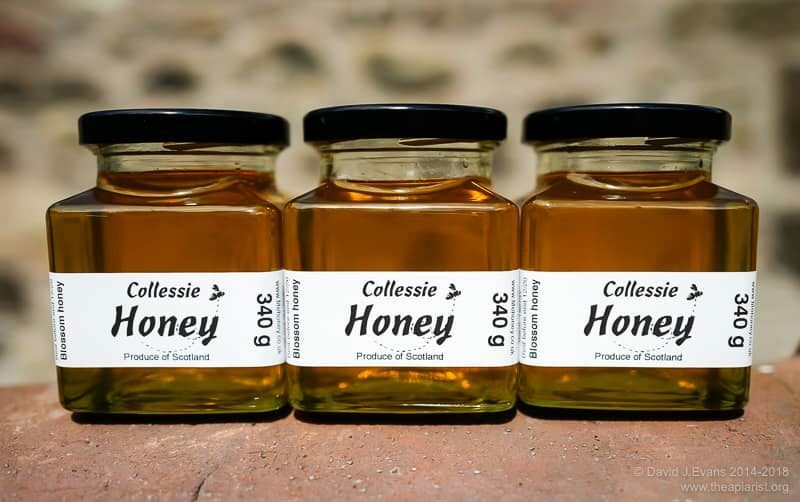 About 60% of cases of infant botulism are in babies with a history of honey consumption 2 and, in several cases, epidemiological follow-up has confirmed that honey was the source of the infection. Treatment is not with antibiotics as it’s the toxin that causes the symptoms, not the bacteria. 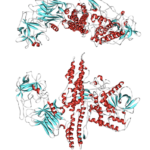 Instead patients are treated with immunoglobulin (antibodies) specific for the toxin. These inactivate toxicity fast and recovery is usually complete, but can be protracted. Oxygen inhibits the growth of C. botulinum. So do acidic conditions. Honey is acidic, with a pH of about 3.9, which is too low for the bacterium to grow. However, the spores remain viable at low pH. It is this contamination of honey with C. botulinum spores that poses a risk for infants. It is possible to microbiologically examine honey for contamination with C. botulinum spores. 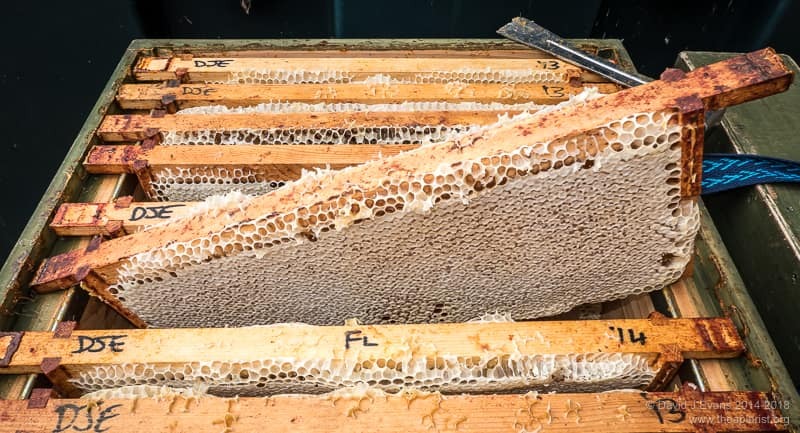 When this has been done, 6-10% of honey samples tested were contaminated, with contamination levels estimated at 5 to 80 spores per gram of honey. The infectious dose for a human is estimated at 10-100 spores 3. So … much less than one teaspoon of contaminated honey. 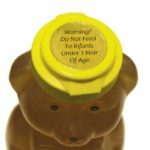 Despite this, there is no requirement for honey to carry a label warning that it should not be fed to infants. Instead, the Food Standards Agency recommend honey carries a warning that it is unsuitable for children under one year of age. Why is infant botulism so rare? If up to 10% of honey is contaminated with C. botulinum spores, why are there not many more cases of botulism in infants? After all, European paediatricians have even been known to recommend honey – a long-standing traditional solution – as a means of soothing crying babies4. The intestine of the developing baby is full of bacteria – the so-called commensal microbiota – all competing to get established and to lead a long, happy and healthy association with their human host. The spores of C. botulinum have to germinate and establish an infection in the face of this competition and, usually, they fail. A likely possibility is that infant botulism only occurs in babies in which the commensal microbiota have not properly developed … either because they are so young, because broad-spectrum antibiotic use has prevented the development of the microbiota or for a pre-existing genetic condition. 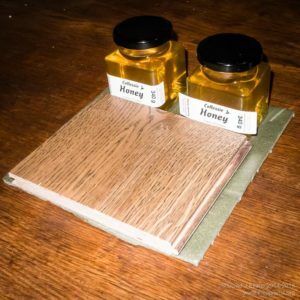 This entry was posted in Beekeeping, Diseases, Honey, Responsibility on September 14, 2018 by David. 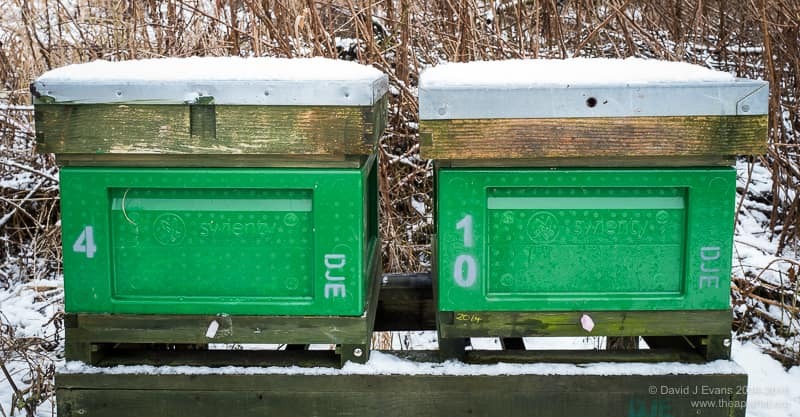 Winter bees have high levels of vitellogenin, a glycolipoprotein 1, deposited in their fat bodies which act as a food reservoir for the long winter. These fat winter bees are essential for the successful overwintering of the colony. Last week I discussed the major points that need attention for overwintering i.e. strong, healthy colonies with ample food in a weathertight hive. 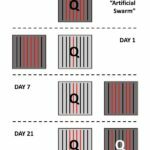 This week I want to explore the relationship between colony strength, health – specifically with regard to Varroa and deformed wing virus (DWV) – and isolation starvation. 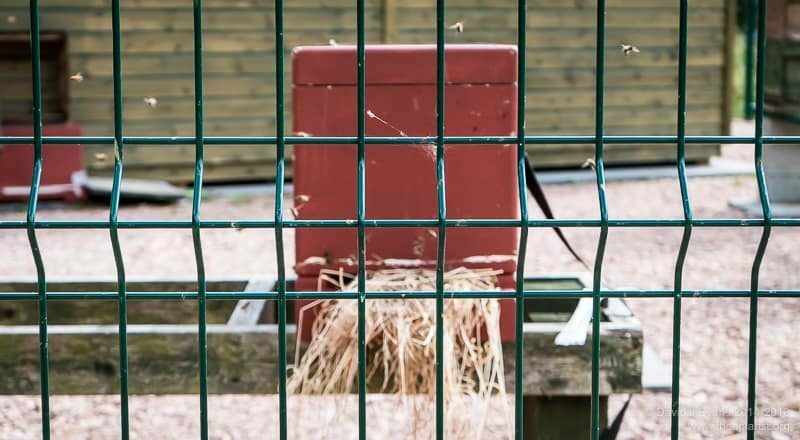 Isolation starvation describes the phenomenon where a small colony of tightly clustered honey bees gets isolated from the honey stores laid down in autumn, resulting – typically during protracted cold periods – in the colony starving to death. It’s both a pathetic and distressing sight. 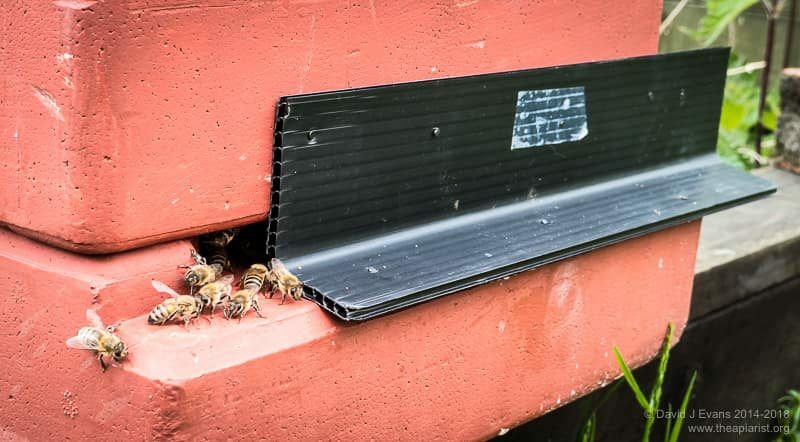 Bees, with their heads crammed into the bottom of cells searching for food, dying from starvation when literally inches away from capped stores. 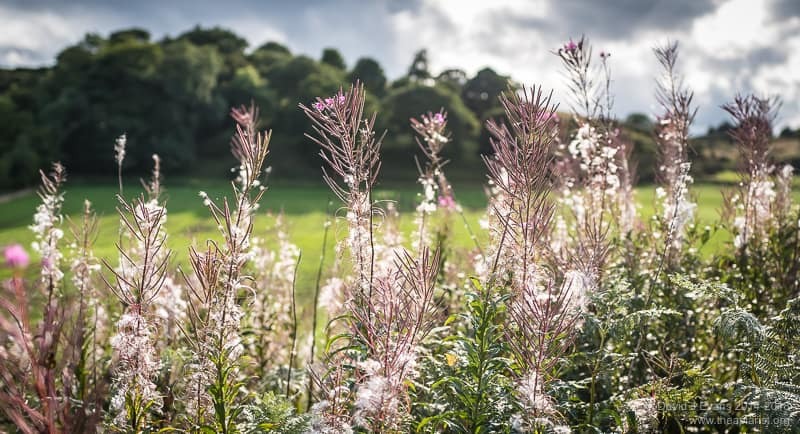 In temperate climates the winter is characterised by low temperatures and little or no forage for the bees. The queen usually stops laying sometime in autumn and starts again around the turn of the year. During the intervening period she may lay intermittently, but generally in limited amounts. The fat bodied winter bees that are reared in late summer and early autumn are long-lived (about 6 months) and are responsible for getting the colony through the winter. 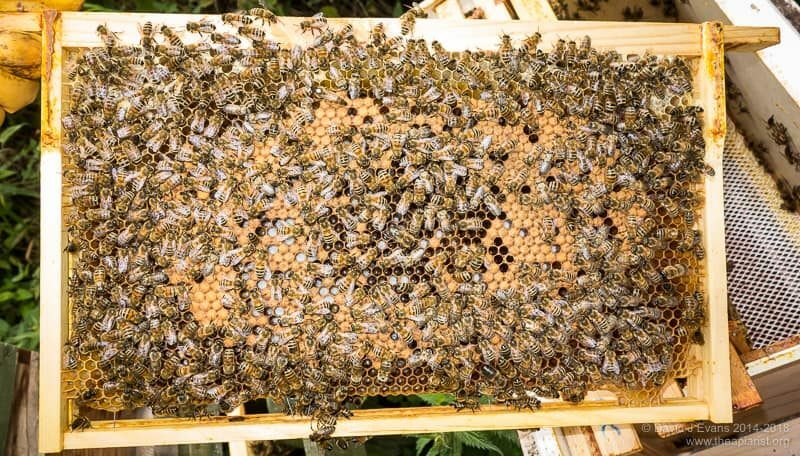 They protect the queen, thermoregulate the hive and they help rear the brood raised in the autumn and through the winter. In their absence – or if there are just too few of them – the colony will perish. Winter bees do not all live for 6 months. The usual figure quoted is ~175 days 2. Some live shorter lives, some longer … up to 9 months under certain conditions. 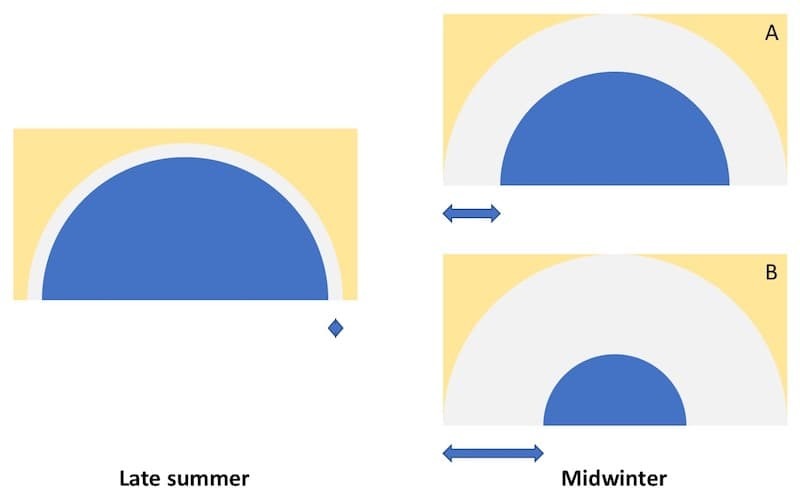 Importantly, in studies I’ve discussed at length previously, high levels of DWV reduces the lifespan of winter bees. We know this because, in Varroa-infested colonies, researchers 3 have shown that the winter bees die off faster 4. Winter bees with high levels of DWV don’t really live fast … but they do die young. 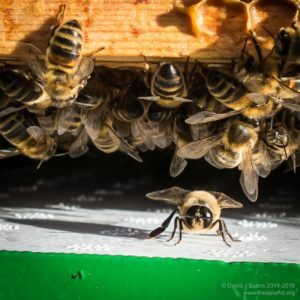 In the studies above the average lifespan of winter bees was reduced by 20% in the colonies that died overwinter. There are a couple of important things to note here. Dainat and colleagues were not looking at bees in the presence or absence of Varroa, or in the presence or absence of high or low levels of DWV. 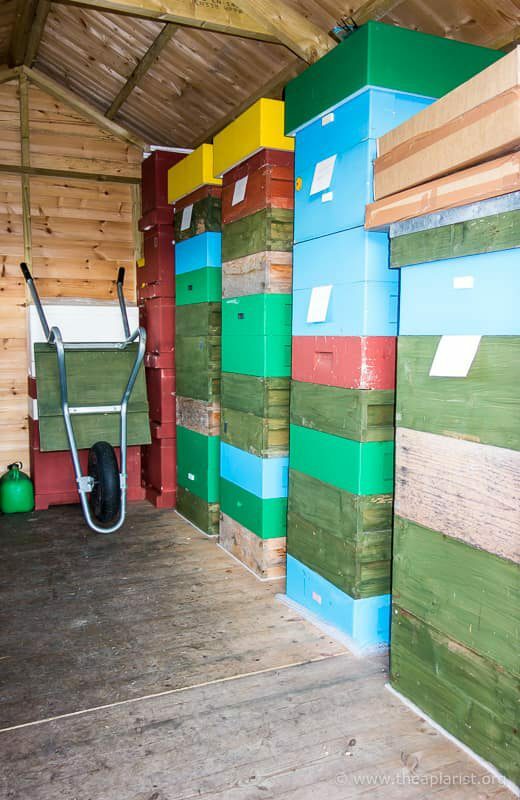 They simply looked at hives that succumbed in the winter or that survived, then measured DWV and Varroa levels. It’s a subtle but important difference. Their surviving colonies still had Varroa and DWV. 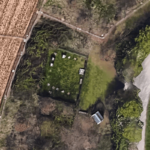 From analysis of hives that died or survived, and having marked known numbers of bees in late summer, they could determine the life expectancy of workers – in their surviving colonies it was ~88 days, in those that died it was ~71 days. 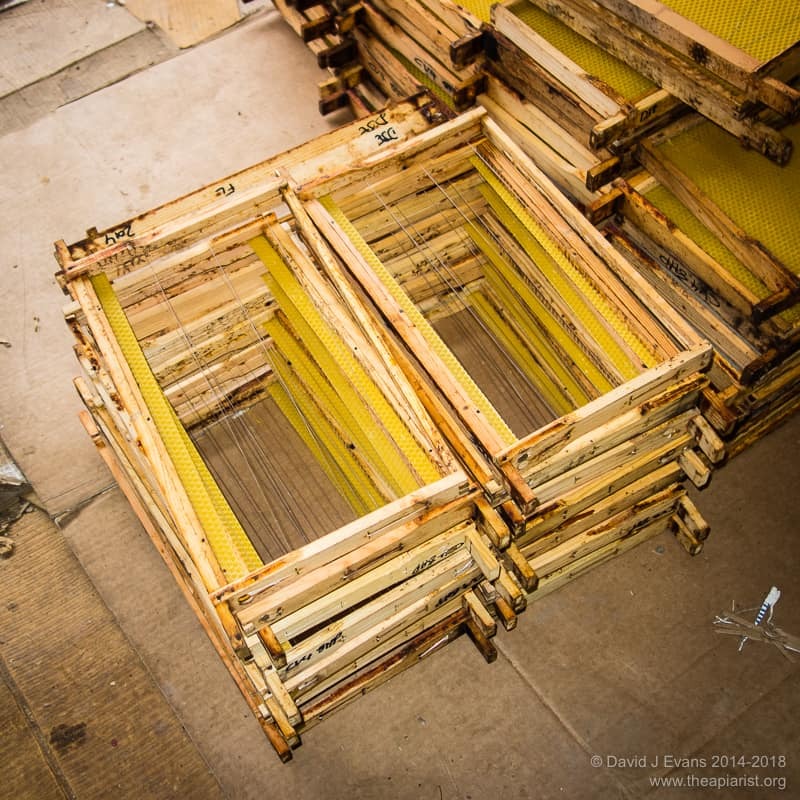 The gradual death of bees through the winter coupled with the reduced lifespan of winter bees with high levels of DWV explains why colonies need to be strong and healthy. 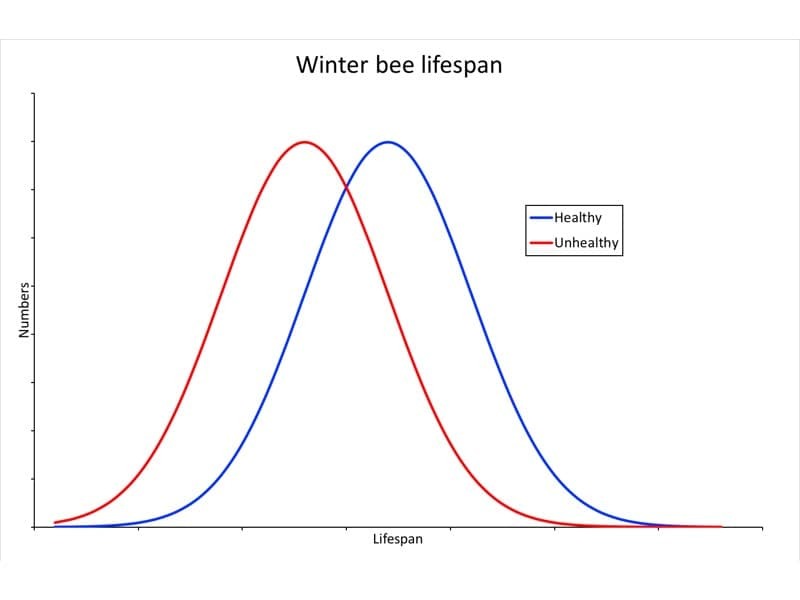 The following graphs are based upon modelled data 5, but show the influence of colony size and winter bee lifespan. 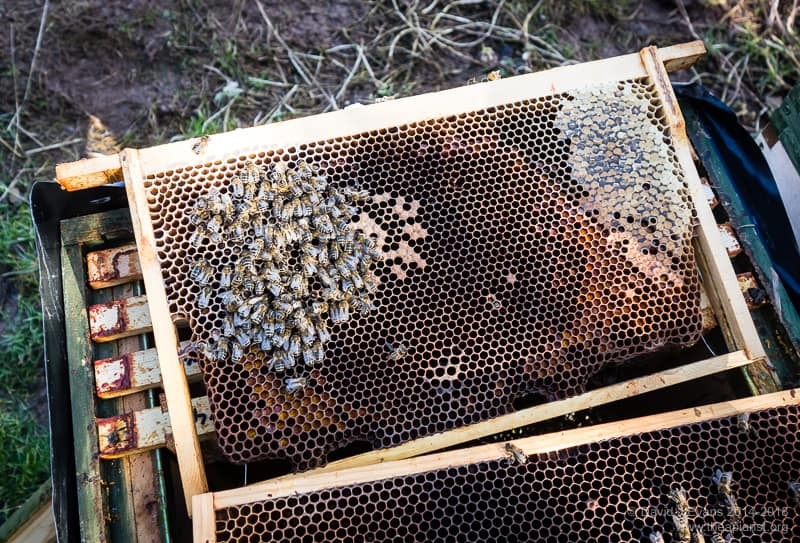 The first graph – the least important – simply shows the lifespan of bees. The graph plots the number of bees (on the vertical axis) in a population that die at a particular time (on the horizontal axis) after the start of the experiment. The blue bees have a longer average lifespan than the red bees 6. 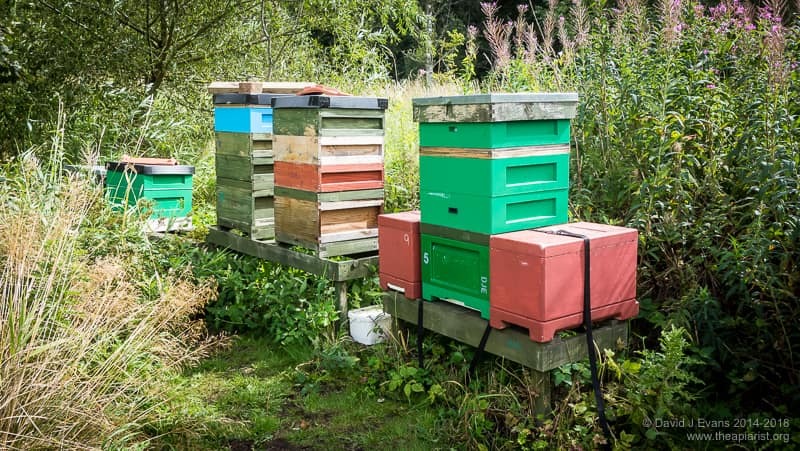 In the following graphs remember that the blue bees are healthy, with low levels of Varroa and – consequently – low levels of DWV. 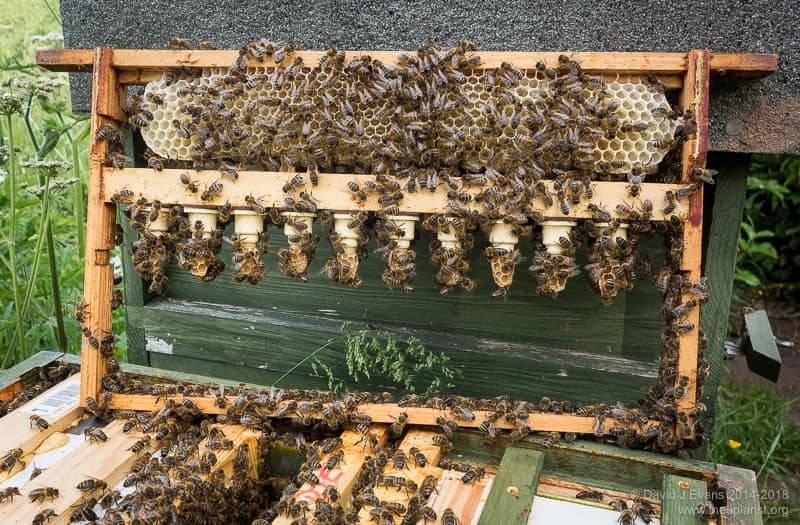 The red bees are unhealthy and have high levels of Varroa and DWV. Using this lifespan data we can look at the influence on the total number of winter bees in a colony (on the vertical axis) over time (horizontal). 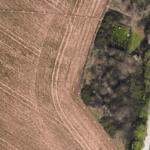 Imagine that the horizontal axis is the long, dark, wet and cold months of winter. 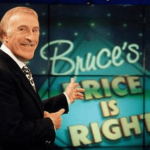 Starting in early September and running through until late March. It is clear, and of course entirely predictable, that the numbers of bees in the healthy (blue) colony are higher than those in the unhealthy colony at each time point. 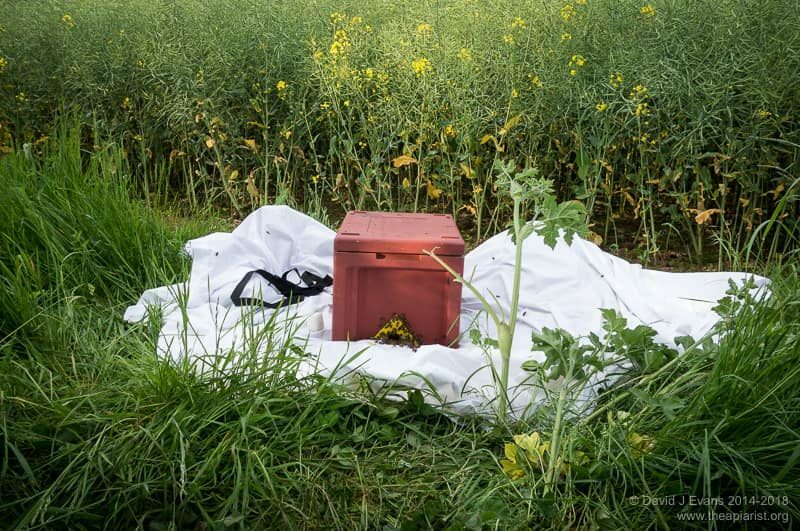 If the average lifespan is reduced (by disease) more bees will have died by a particular time point when compared with a healthy colony at the same timepoint. Finally, consider that the shaded section of the graph represents the lower limit of bee numbers for viability. 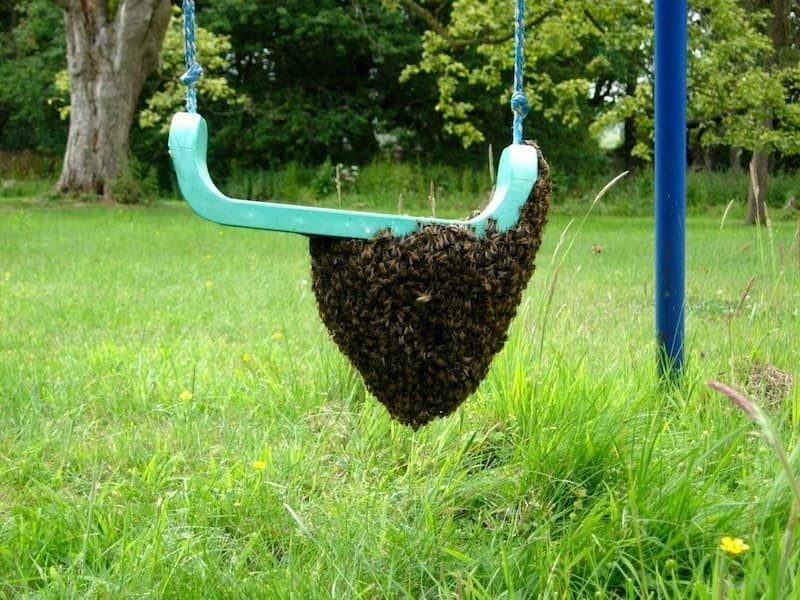 If the number of bees in the colony drops into this region the colony will perish. 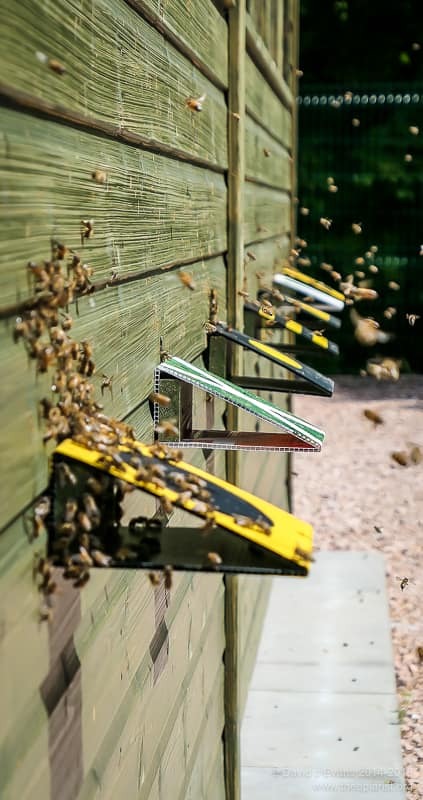 Simplistically – and in reality – starting with similar numbers of bees a healthy colony will survive longer than an unhealthy colony. 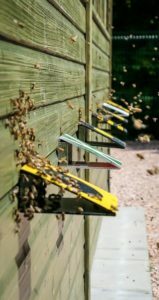 Using a similar approach we can also look at the influence of the average lifespan of winter bees on the survival of strong or weak colonies. 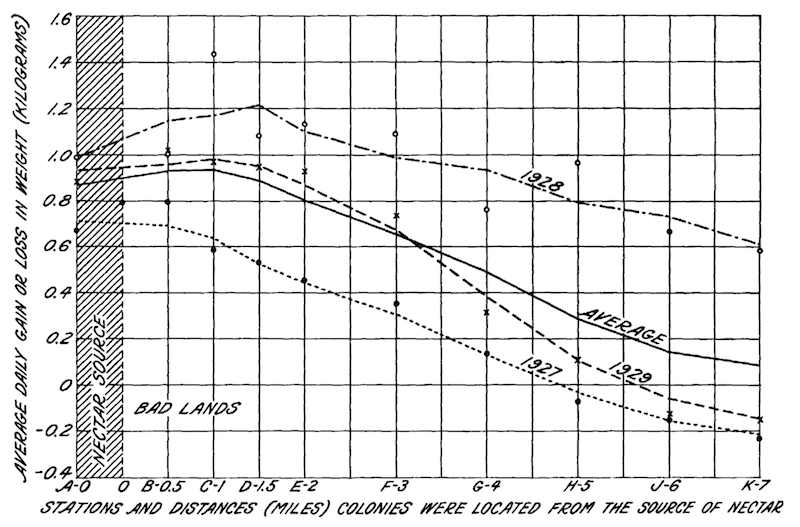 The following graph shows the numbers of bees in the colony over time for a strong colony (solid line) and a weak colony (dashed line) where worker bee lifespan is identical 7. Winter bee numbers in large (strong) and small (weak) colonies with the same average lifespan. The shaded section of the graph again represents colony oblivion. Large (strong) colonies take longer to drop below the threshold for viability and so – all other things being equal – will survive longer 8. 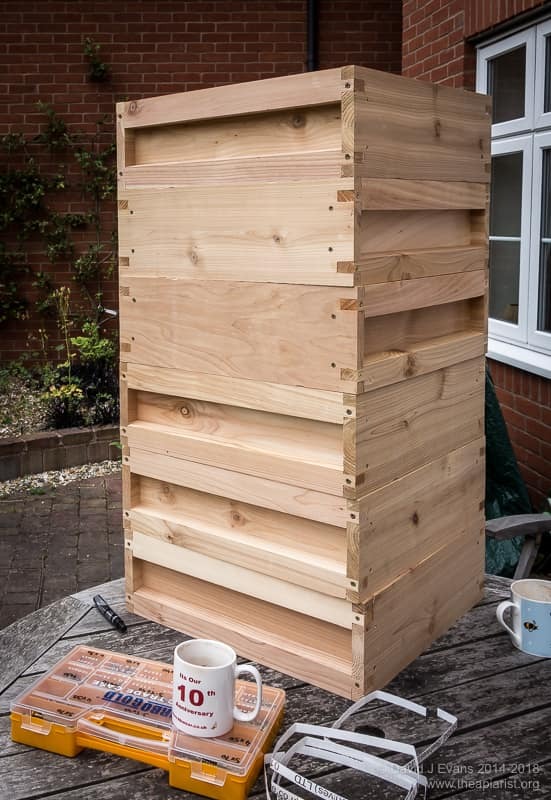 A strong colony with high levels of Varroa and DWV might actually survive less well than a weak but healthy colony. Large unhealthy colonies might survive less well than small healthy colonies. 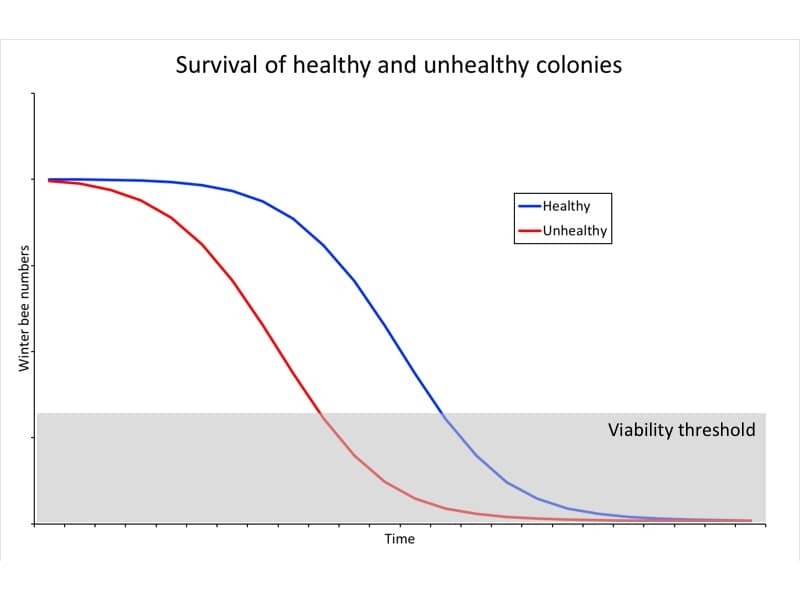 In this graph the weak but healthy colony drops below the ‘viability threshold’ after the strong but unhealthy colony 9. This is modelled data, but it makes the point clearly. Large and/or healthy colonies retain more of the all-important winter bees and so survive longer. The differences might not appear marked. However, for convenience 10 I’ve omitted the influence of winter bee numbers on the ability of the colony to rear brood. If there are more winter bees, the colony is able to thermoregulate the hive better. It’s therefore able to keep any brood present warm. It’s therefore able to rear more brood. 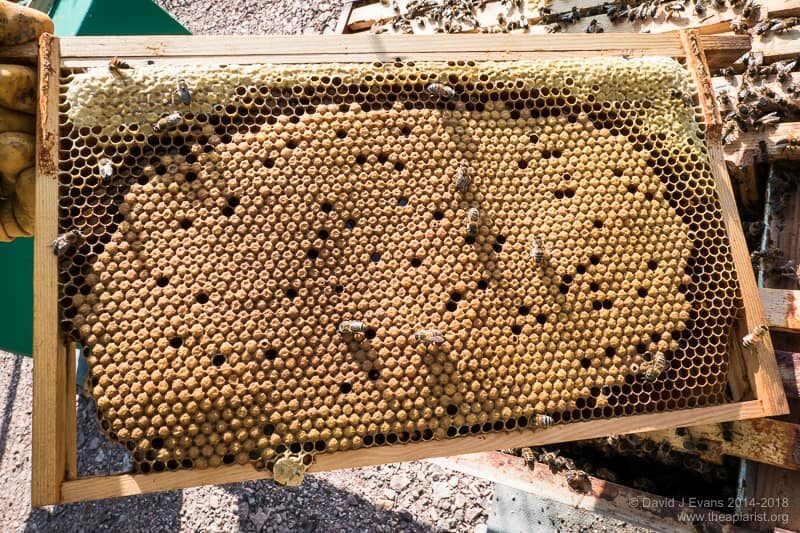 As a consequence, the differences in bee numbers between the large or small, or the healthy and unhealthy, colonies will be much more striking. Critically 11 the strength of the colony coming out of the winter is often the rate-limiting determinant for spring build-up to exploit early season nectar flows. Weak colonies develop less well. Finally, returning to that pathetic little cluster of starving bees in the image at the top of the page. 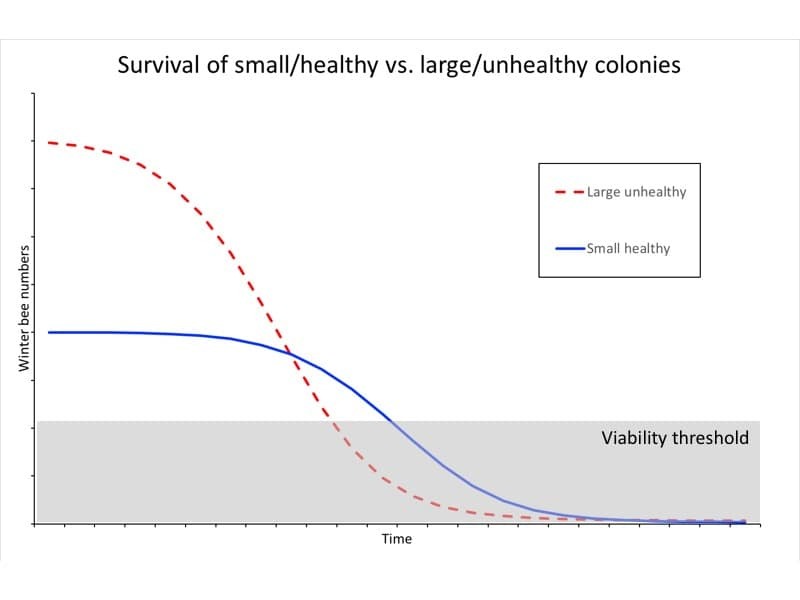 What is the relationship between colony health, strength and isolation starvation? Again, it’s straightforward. 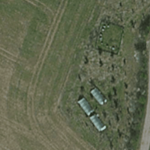 A large (strong) overwintering colony (A above) only has to move a short distance to access stores in midwinter. 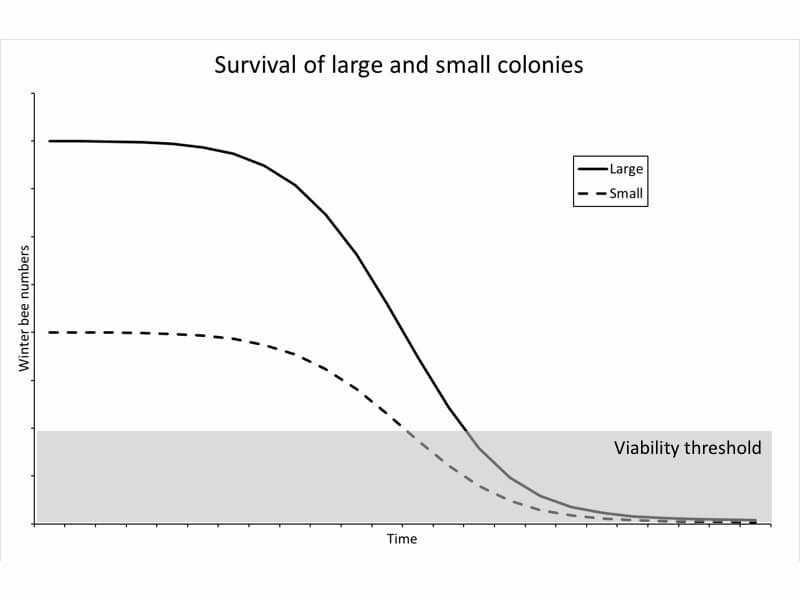 In contrast, a small (weak) overwintering colony has to move much further. 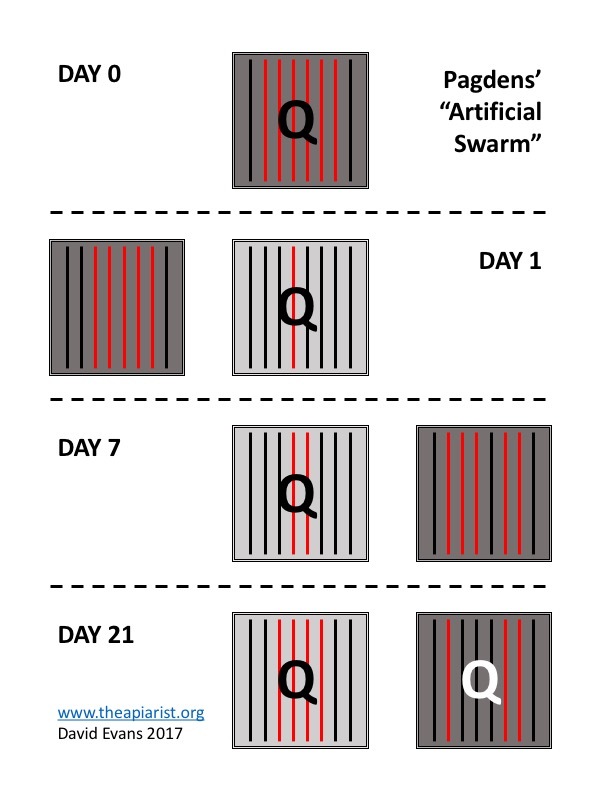 Consequently, small colonies become isolated from their stores during long, cold periods when the colony is clustered. 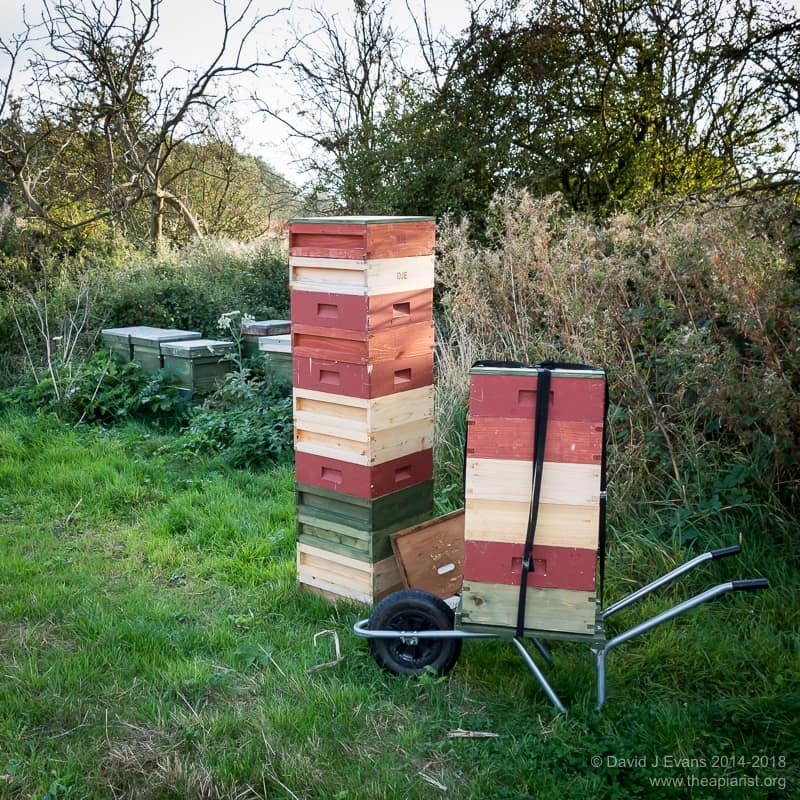 Many beekeepers will be familiar with isolation starvation of overwintering colonies. Most would explain this in terms of “very cold weather and the cluster was unable to reach its stores”. Some would explain this in terms of “the colony was far too small to reach the stores when clustered”. Very few would explain this in terms of “the Varroa and DWV levels were too high because of poor disease management last autumn. 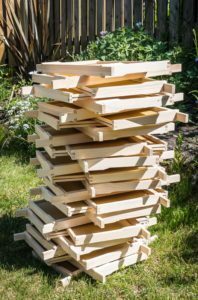 Inevitably most of my winter bees died off early in the winter, leaving a very small cluster of bees that were unable to reach the stores.“. 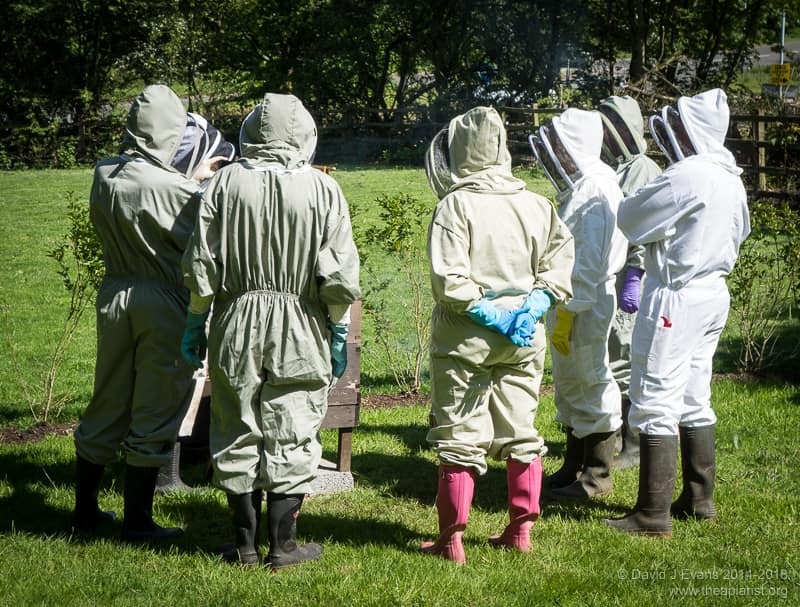 I suspect the real cause of isolation starvation is probably disease … specifically poor management of Varroa levels and consequently high levels of DWV in the colony. Another post, another poor pun in the title. 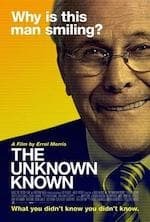 Survival of the fittest encapsulates the Darwinian evolutionary principle that the form of an organism that survives is the one able to leave the most copies of itself in future generations. Darwin didn’t actually use the term until the 5th edition (1869) of his book On the origin of the species. 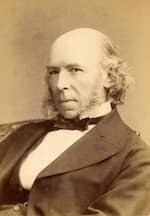 Instead, the phrase was first used by Herbert Spencer in 1864 after reading Darwin’s book. Whilst ‘survival of the fittest’ suggests natural selection, Spencer was also a proponent of the inheritance of acquired characteristics, Lamarckism. 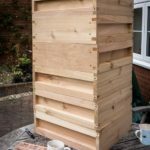 This entry was posted in Beekeeping, Diseases, Responsibility, Science, Varroa, Varroa control and tagged disease, isolation starvation, winter on August 31, 2018 by David.